Alcohol Tourism | Travel the world. One of the best parts of driving off the interstate is having all sorts of surprising, positive travel finds. This week we drove from Albuquerque back to Phoenix. We could have easily taken I-40 to I-17, but we decided to make Pinetop Brewing a destination. 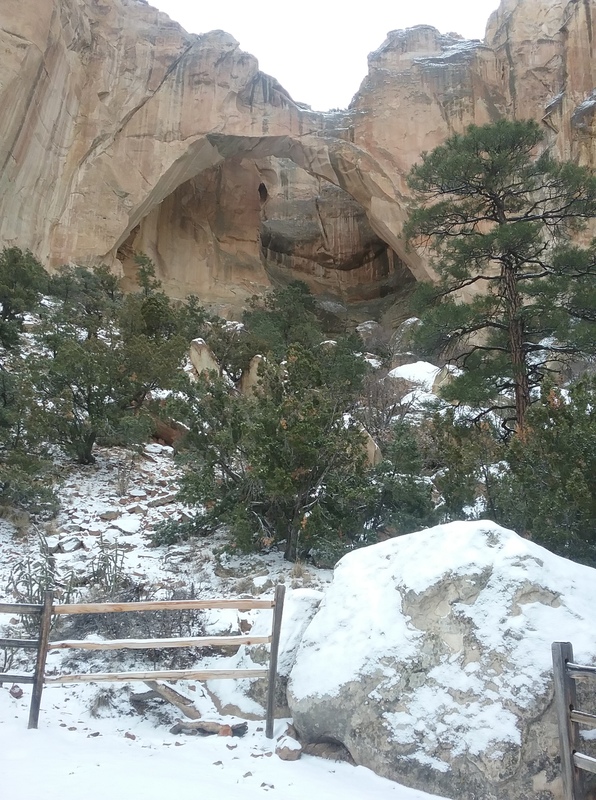 Fortunately, this took us off the interstate and allowed us to discover a cool spot- El Malpais National Monument. El Malpais is a volcanic field filled with interesting terrain, sandstone formations, and caves. It was snowing lightly when we arrived, painting everything with a dappled white brush. A short walk took us to La Ventana Natural Arch with sandstone bluffs all around. The drive on from there took us through a blinding snowstorm and finally over the mountains and towards Pinetop. Pinetop reminded us strongly of Big Bear, CA, one of our favorite places to visit. 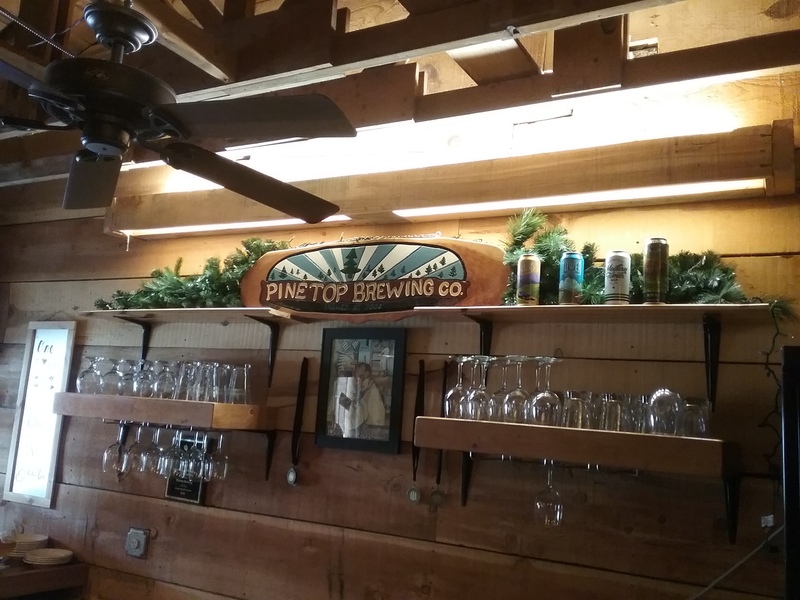 Pinetop Brewing is a large, standalone building on the side of Highway 260. A cozy brewpub, their beer is focused on Belgian styles, and they definitely delivered. Almost every beer they had was incredibly delicious, although not necessarily to-style. We can definitely continue to recommend you enjoy the journey, not just the destination. Take the slow road- you never know what you’ll find! Okay, so you think you may want to try this out. You like wine, or beer, or spirits, and you are interested in going to the source. It’s a terrific way to travel. It helps you see the sights, meet the locals, and can serve as a focal point for an otherwise meandering journey. So, you’ve decided to make an adventure. We are here to help. Let’s break down the essential elements of a successful first alcohol tourism trip. 1) Where to go. This is surprisingly easy, although the staggering amount of offerings can cause a decision paralysis. For your first trip, I would strongly advise a relatively simple journey nearby. Almost anywhere you live in the U. S., there is a nice winery, brewery, or distillery within no more than two hours. If there is a known cluster of these nearby, head that way. 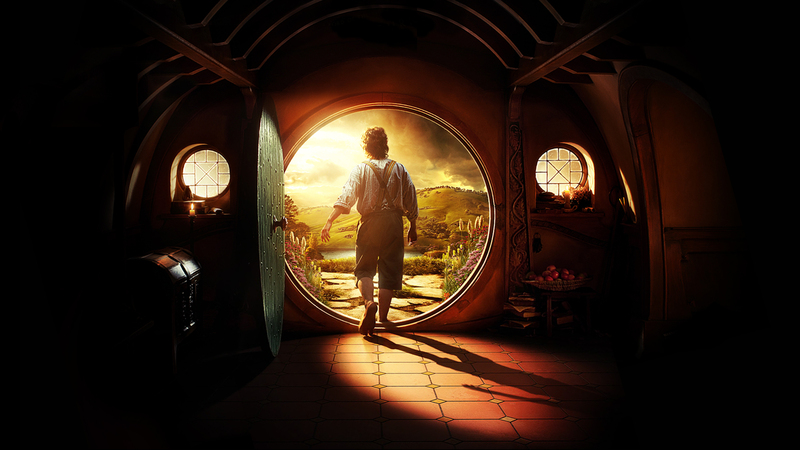 Otherwise, even a single locale can start you on your path to adventure! 2) When to go. Again, this is hopefully simple- choose a weekend or, if it’s a bit far to drive, a long weekend. We routinely go to Asheville, a 3 hour drive from Athens, for a weekend. Just identify a free weekend and GO! 3) What do do. Alcohol tourism isn’t about just drinking alcohol. You can do that at home, for a lot less money. Alcohol tourism is about finding new experiences, going to the source, and finding out about those who craft your favorite drinks. We enjoy talking to proprietors about their craft and trying out what they make. We enjoy being analytical and comparing what we try with what we expect. Go out and try a bunch of different drinks! At the end of the day, we recommend making your first alcohol tourism adventure nearby, simple, and interesting. You don’t need to go somewhere like Asheville- even somewhere with a single brewpub or winery can be a fun adventure. The important thing is to first get out your door. 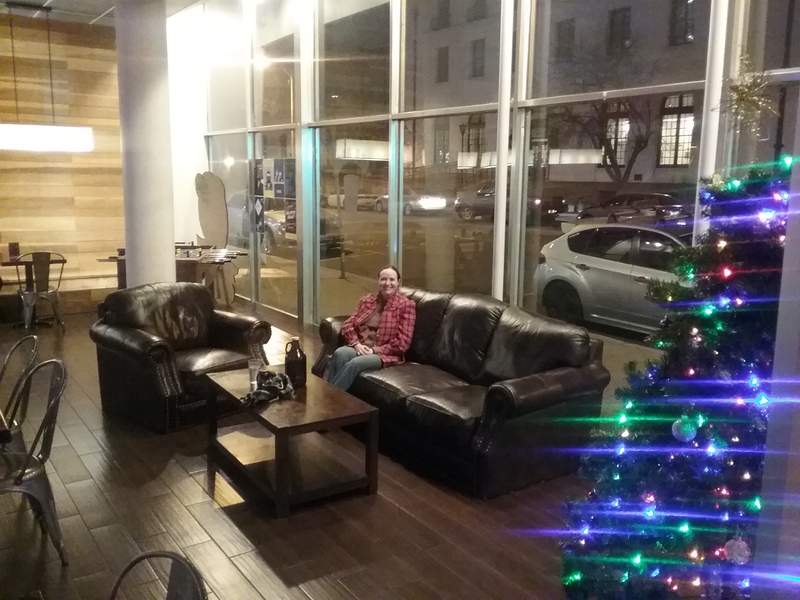 Comfy chairs and Christmas Spirit at Red Door Brewing. Albuquerque is the largest city in New Mexico, with a population over 500,000. It also has an incredible beer scene, with at least 24 breweries and brewpubs, for a per-capita number of 4.8 breweries per 100,000 people. Although well below powerhouses like Asheville and Seattle, it is still impressive, and formed the basis of our adventure there over Christmas. We stayed in walkable distance to downtown and, due to the holiday time, we didn’t get a chance to sample many. Fortunately, we did get to try all three breweries in the core downtown area. First, downtown Albuquerque is eminently walkable, if a bit dodgy. As we were strolling, there was quite a loud argument between a fellow without a shirt (it was just above freezing) and several other men. Several of the homeless people we spotted carried baseball bats (probably as a deterrent). On Sunday night before Christmas, there were dozens of loud, flashy cars just cruising up and down Central Avenue. There was not police presence. So, if you want to go downtown Albuquerque at night, consider travelling in groups. We weren’t harassed beyond panhandlers and so got to check out Sidetrack Brewing, Red Door Brewing, and Boese Brothers Brewing. Sidetrack Brewing was in a little storefront a bit out of downtown, so both quieter and more isolated-feeling. It was a pretty standard bar setup with a decent lineup of beers and, thankfully, quiet music. Although I was accosted by a customer with the usual question, “Woah, how tall are you?” it seemed most people were there for a quiet drink. The beer was fine to good, with the cask cocoa nib stout the standout. They seemed slightly hop-oriented with their lineup, so we skipped a growler fill. On to Red Door Brewing, closer to the main downtown area but one street over from Central Avenue, so a little bit out of the way of the craziness. Occupying a large glass-fronted building, it had visible comfy chairs and a Christmas tree- instant pleasers for us. Their lineup was fairly extensive and included two excellent ciders. Other standouts were the wit and vanilla cream ale. Their seasonal maple brown was wonderful- nice maple character without too much sweetness. On our second visit, we discovered The Vault- a cozy separate room with comfy chairs and no music. We got growlers of their seasonal strawberry cider and the wit. This is one of the best venues to which we have been and cannot recommend it highly enough. Boese Brothers Brewing is a short block down the street on a glass-fronted corner. It seemed a bit Spartan but they had a couple of comfortable booths. The lineup was not very impressive, and I don’t remember their beer being very distinct. The easy walkability of downtown Albuquerque was a nice attraction for us, with a pretty high concentration of breweries. Had we been there away from the holiday, we could have easily walked to at least 5 more breweries between our AirBnB and I-40. If you are looking for a good beer destination in the southwest, Albuquerque is probably the greatest concentration of breweries you can find in a small area. 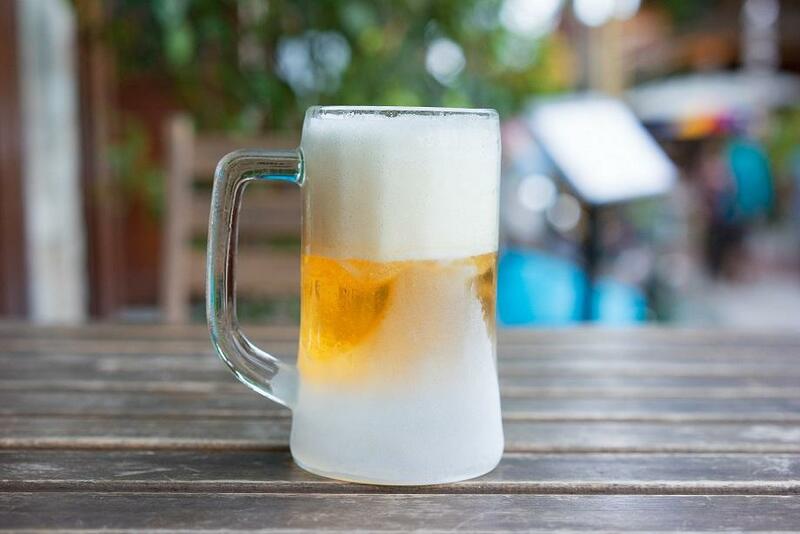 Beer Serving Temperature: Is This So Hard? Pro Tip: Don’t do it like this. Susan and I have been at all kinds and sizes of breweries and brewpubs. We also frequent pubs which have an expansive draft selection. One thing that continuously mystifies us: if you’re serving craft beer, why are you serving at near-freezing temperature? Craft beer is intended to be stored at cellar temperature, somewhere around 55°F. This is also the temperature at which quality beer should be served. Quite simply, this is the temperature range that allows you to taste the delicious beer you just ordered. The problem with excessively cold beer is that the lower temperature tends to dampen the flavor. This is probably why Coors Light and similar macro beers implore you to enjoy them ice cold, because the flavor is just not very good, and they want it muted. I know one guy whose ideal serving temperature was the point at which a glass of beer would spontaneously freeze if struck. If you want to taste your beer, you do not want it very cold. The problem, as we have experienced it, is that craft beer bars and breweries- who really should know better- sometimes serve all their beer at ice cold temperatures. Sometimes even in frosted glasses! Why is this happening? Has the world gone mad? Do people who know how to make good beer NOT know how to serve it? It seems difficult to believe that is true, but it’s possible. It’s also possible the managers who set the temperature don’t know enough about beer to do it correctly. It’s also possible we get ice-cold beer as craft breweries try to appeal to a more general audience which is not accustomed to nice flavor in their beer. Most make a kolsch or a mild pale ale to accomplish this, though, so I’m not sure that is it. It may be that the brewers just have different tastes- maybe to them, cold beer tastes better. In any event, the cold craft beer phenomenon has to stop. We routinely order beer and then let it sit, trying to get it to warm up before drinking. That affects carbonation and delays our time to drink beer, which is unacceptable. Come on craft brewers of the world, get it together. The view at Whetstone Station Restaurant and Brewery could be ruined. This post was inspired by the Eco-Guide to Responsible Drinking. We always try to make environmental choices, which can be surprisingly difficult and frustrating when traveling and eating and drinking out. There are a number of ways alcohol tourism adversely affects our planet, and ways you can mitigate them. Flying is generally fairly bad for the environment. A large amount of carbon dioxide is produced in all steps of the flying process. However, it is more efficient, from a carbon-footprint-point-of-view, than driving long distances. And it’s the only practical way for us to get to Oceania. In general, reduce the amount that you fly. Some companies also allow you to buy offsets for your flight- I remember Delta doing this, but I haven’t seen it recently. If you do fly a lot, and you’re bothered by the environmental impact of that, you may consider donating to environmental organizations and/or investing in alternative energy research efforts. Everyone knows driving creates carbon dioxide and other pollutants. There are many sites dedicated to helping you be more efficient, called hypermiling. Some of the easiest tips we use daily: take stuff out of your car (less weight), be easy on acceleration, leave plenty of space, and go by the maxim: if you have to brake, you made a mistake (coast as much as possible). Driving a fuel efficient car like our Honda Civic Hybrid also helps. Drink draft beer produced by a local brewery. Simple, done! Making bottles and cans takes more energy than kegs. Shipping beer any distance also requires energy. Getting pints at the brewery itself is the best way to minimize your beer-carbon-footprint. Again, we keep growlers in our car so we can bring beer back from the brewery without needing bottles or cans. It doesn’t last as long as bottles or cans do, but it’s another small step that may add up. Hopefully you already know you don’t need turndown service daily. We only get maid service when we are staying somewhere for several weeks, and then we do it once a week, mostly to clear out the garbage. If you’re staying for just a few days, put the Do Not Disturb sign on your door. Save on cleaning, new towels, etc. etc. If you need more coffee, ask for it at the front desk. We try to mitigate this by filling our reusable coffee cup at the coffee station most hotels have in the lobby. This cuts down on the packaging waste of making it in your room. Obviously travel requires energy from the planet and degrades the environment. Ideally, no one would travel for leisure or work. We get a lot of satisfaction from traveling, though, but as we do so we understand we are slowly destroying the planet. Hopefully in the future technology will be better so we don’t cause so much environmental degradation. In the meantime, we try to mitigate our impact and encourage you to do so, as well. So you want to go on an adventure focused on breweries, wineries, and/or distilleries, but you’re not sure where to go. How do you decide on your destinations, and how do you find them in the first place? Here are some recommendations to help you get start ed. 1) This blog. We have reviewed many destinations, found under the ‘locations’ category. Check them out and decide if they fit what you are looking for. Our favorite destination is Asheville, NC- if you can get there, go. 2) Google Maps. This is what we use predominantly. We find a place which seems fun and interesting for various reasons- such as Tombstone, AZ- and then try to find fun alcohol-oriented destinations near it. You can try searching “winery”, “brewery”, “brewpub”, and “distillery”. Realize that Google Maps is sometimes not very ‘smart’, and will display liquor stores or general bars when you do these sorts of searches. Check out the individual entries to see if they actually make an alcohol product on premises. 3) Local business publications. If you find yourself somewhere interesting, the local business marketing and publications may have some locales for you to check out. Be aware, though, that these may be touristy and not particularly authentic. You can either look specifically to go on an alcohol tourism adventure or, if you are already going somewhere, identify places which may be fun to get and check out. What strategies do you use when identifying great places to visit? Alcohol is a central nervous system depressant and inhibitor of higher-level decision-making processes. It is functionally a toxin, which your body attempts to make into a non-toxic compound and then remove from the body. As such, it has a variety of deleterious effects on the imbiber. This includes poor decision making, ataxia, impaired memory, and others. As alcohol tourists, we want to remember and enjoy our experiences. We also need to make sure we are safe for ourselves and others. Therefore, we need to be responsible when we enjoy our drinks. The first step to a successful alcohol tourist adventure is moderation. I know some people think moderation is dull, but it is essential to successful alcohol tourism. You want to make sure to avoid spending too much money, minimize potential harm to yourself, and remember the experience. So, know how much you can drink and still enjoy the memory of the experience and be safe. The second key is making sure your transportation is secure. This may mean a designated driver (Susan is responsible for finishing most tasting flights when we are on the road) or, even better, not relying on vehicular transport at all. 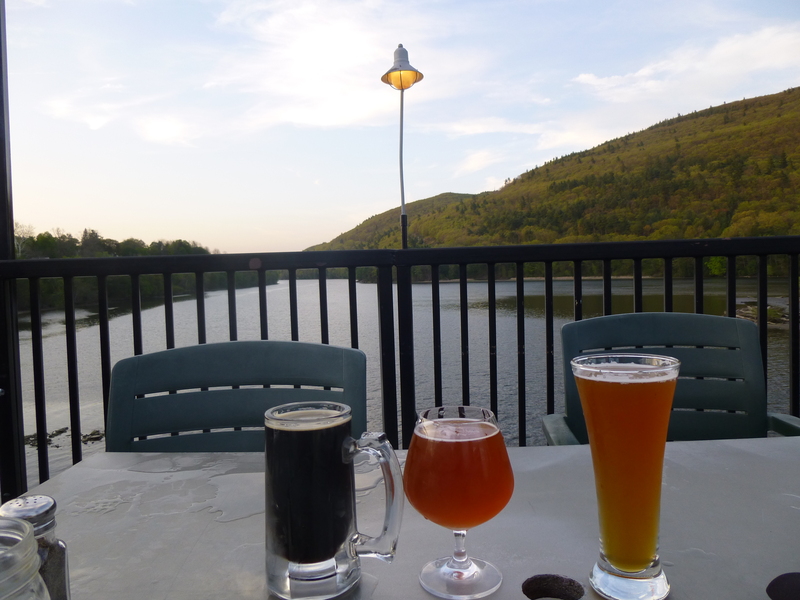 We strongly prefer staying in motels and hostels within walking distance of the local breweries and distilleries. This is easy in Eugene, Portland (either Maine or Oregon), and Asheville; not so much so in Amarillo, TX. If possible, adjust your accommodations to stay near your destinations. Remember that the effects of alcohol depend on not only the amount, but the timeline and food consumption. Some people claim a 1 drink/hour metabolism rate, but I have personally found that to be highly variable depending on the rapidity of ingestion and whether there was food involved. Learn from your experience and, when in doubt, have fewer rather than more. We bring empty growlers with us so we can bring beer back to our accommodations to enjoy safely. Also considera tasting flight instead of several pints. That way you get the experience without so much consumption! What steps do you take to make sure you are enjoying your drinks responsibly? Enter your email address to follow Alcohol Tourism and receive notifications of new posts by email.